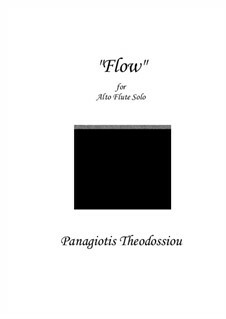 "Flow" for alto flute solo (2017). Composed for the British soloist Clara Rees recital in Athens took place in October 2017. This is awesome! Thank you for sharing your art, both performer and composer.